Bitter Cold this Winter? AVOID DEHYDRATION NOW! serious health exposure issues. Perhaps one of the most important things you can do, during these bittercold winter months, is to stay HYDRATED! Dehydration is a serious condition that opens you up to other diseases. Your body requires a minimum amount of water daily to remain healthy. However, very few methods of drinking liquids have any positive effects on restoring hydration. Below are things you should know and possible solution to the issue. Do you think that what you are drinking is providing what your body and blood need? REALLY! and you still have health issues? Watch a simple comparison of the popular Drinks that you are presented with everywhere you go and how they rank in Hydrating your body. • It helps maintain the balance of body fluids. 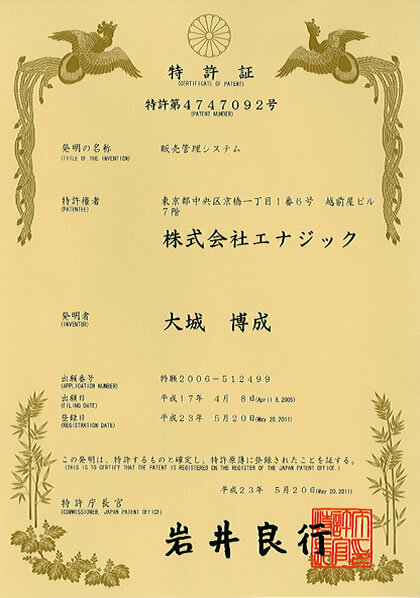 • It regulates and maintains body temperature. • It lubricates your joints and eyes. • It protects your tissues, spinal cord and joints. • It helps your body remove waste products and toxins. • It helps control calorie intake. • It helps keep your skin looking good and youthful. Without water, your body would stop functioning properly. Hence, it is important to keep your body hydrated. To stay hydrated, drink fluids and eat foods rich in water content. At times, your body may lose water more than usual. This can occur due to vigorous physical activity, excessive sweating, diarrhea, vomiting, diabetes and frequent urination. This causes an electrolyte imbalance in your body, leading to dehydration and making it difficult for your body to function at its best. Headaches and lightheadedness are some of the possible signs that your body lacks water. A drop in your body’s hydration level leads to a reduced amount of fluid surrounding your brain, which protects it from mild bumps and movement. When suffering from a headache, instead of reaching for a pill, drink a glass of water. If the headache is due to dehydration, it will go away soon. As the human brain is made up of approximately 90 percent water, it definitely shows signs when dehydrated. Lack of water in the brain can affect your decision making, memory and mood. Dehydration can even cause symptoms of brain fog, such as forgetfulness and difficulty focusing, thinking and communicating. Bad breath is another sign that your body lacks water. Due to lack of water, your body produces less saliva, which contains antibacterial properties. This leads to an excess growth of bacteria in the mouth, causing bad or stinky breath. Along with bad breath, you can have a dry mouth. Water works like a lubricant, which keeps the mucus membranes moist in the throat, thus preventing dry mouth. Water helps lubricate the digestive system and keeps the digestive tract flexible and clean. This helps keep your bowel movements regular and avoid constipation. Plus, excessive fluid loss due to diarrhea or vomiting may also harden the stools and lead to constipation. Lack of water in the body can even cause heartburn and indigestion. The next time you have sudden hunger pangs or food cravings, drink a glass of water before grabbing a snack. When dehydrated, your body sends false signals to your brain that you are hungry, when actually you are thirsty. Craving a salty treat can be due to loss of water and electrolytes in the body. Drink water instead and have your craving go away.. Some people experience cravings for something sweet. This happens when your body experiences difficulty with glycogen production. In this case, opt for fruits like watermelon, papaya or berries that are sweet as well as high in water content. Believe it or not, if you are not using the restroom every few hours, your body is probably lacking water. A healthy amount of water intake results in regular urination, about four to seven times a day. As your body releases toxins through urination, not urinating at regular intervals can be problematic. Also, keep an eye on the color of your urine. It is an important indicator of your hydration level. Clear Urine is a sign that the water you are drinking is NOT removing toxins! Light-colored Urine every time you go, indicates a well-hydrated body, while a dark yellow or amber-colored, odorous urine indicates concentrated urine and is usually a sign that you are not drinking enough water. Especially noticeable the first Urination of the morning! Drink a Quart of water before bedtime. Yes, you might have to get up once or twice a night, but isn’t proper health worth a Life Style change? If you are feeling fatigued and lethargic, it can be due to your dehydrated body. Lack of water causes low blood pressure and inadequate oxygen supply throughout the body, including the brain. Lack of oxygen causes sleepiness, fatigue and a lethargic feeling. Furthermore, when you are dehydrated, your body has to work much too hard to ensure proper blood circulation, transporting nutrients and even breathing. Expending extra energy obviously makes you tired faster than usual. Staying hydrated is one of the easiest ways to stay alert and energized, so keep your water bottle handy. Water is a vital component of healthy joints and cartilage. In fact, they contain about 80 percent water. When your body lacks water, your bones start grinding against each other, causing pain in the joints. When your body is well hydrated, your joints can handle sudden movements, such as running, jumping or falling awkwardly, without any pain. Furthermore, depletion of fluids through perspiration can cause muscles to contract, leading to cramps. Another sign that your body lacks water is dry skin that lacks elasticity. The skin is the body’s largest organ, and it requires a good amount of water to remain in good condition. A low water level causes less sweating, which means the body is not able to wash away excess dirt and oil accumulated on the skin throughout the day. Furthermore, as water helps flush toxins from the body, dehydration increases the risk of acne, eczema and psoriasis. Another obvious sign of dehydration is dry and chapped lips. Dehydration also has a direct impact on heart rate and performance. Dehydration causes a decrease in plasma volume, making the blood more viscous. This affects blood circulation and increases your heart rate. Furthermore, dehydration causes changes in electrolytes present in your body, leading to low blood pressure. Due to extra stress on your body, heart palpitations become faster. This can be frightening and cause anxiety and panic. If you feel your heart beating faster, try sipping water slowly to see if you feel better. If the problem persists, consult your doctor immediately. It’s Christmas time, Elizabeth and I would like to Wish you a Very Merry Christmas! Stay Healthy, Warm and close to your Famiily. Blessings on you all! IF THE ABOVE HAS CAUSED YOU TO CONSIDER KNOWING MORE ABOUT PROPER HYDRATION, HERE IS A VIDEO OF A BRAIN SPECIALIST TALKING ABOUT “YOUR BRAIN ON WATER!” SHE MAKES CLAIMS THAT DEHYDRATION IS THE PRIMARY CAUSE OF ALL BRAIN DISORDERS LIKE ALZHEIMER’S, PARKINSON’S, DEMENTIA, MEMORY LOSS, EARLY SENILITY! ALSO, THAT THESE ARE REVERSIBLE CONDITIONS! 720-281-3965 text me to be added to my update list. please send your name and what you would like to see written up on my Blog. May you have a very prosperous and fulfilling 2017! 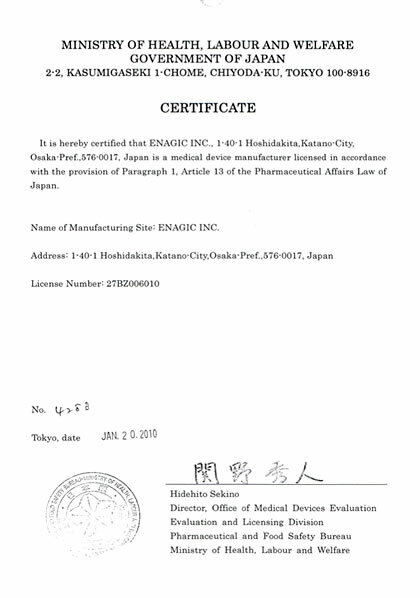 IF you are waiting to purchase your own Enagic Water Ionizer until you have the funds, then you might want to read this in order to plan your timing and actions. I would like to spell out why that may be an issue. 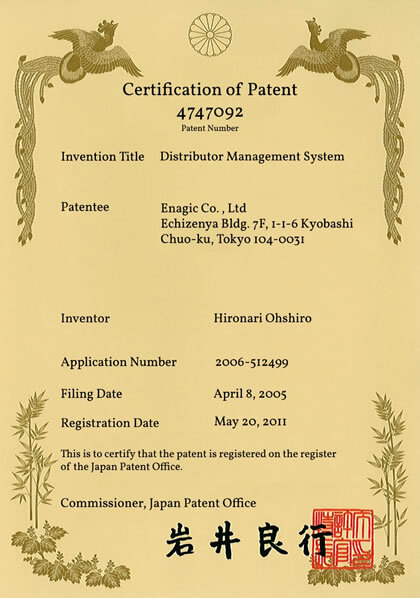 Enagic is a Direct Selling Manufacturer with Offices in many Countries and sales in over 170 Countries. 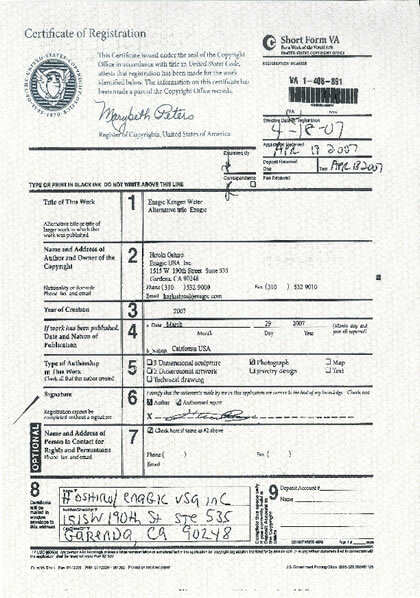 They have an ISO Certified Manufacturing Process for “Medical Manufacturing” that must be followed. The method that is used in their manufacturing process is for a single individual to assemble a machine from start to finish and pass quality tests. THEY DO NOT HAVE A VOLUME PRODUCTION LINE THAT THEY CAN PUT MORE PEOPLE ON AND MAKE MORE MACHINES! To simply double production would require doubling the size of their staff and space. They are constantly adding production to keep up with “Projected” sales. The product is shipped to the US and they occasionally run out of stock, requiring a few days to weeks delay in delivery. At the present time, I have at least a dozen people planning on purchasing up to 10 or more for themselves and their loved ones when an investment they have materializes. There is a strong possibility that supplies may be drastically impacted with such large orders from a large number of people. Just Say’n! Some of those who read this blog will know what event I am speaking of and it’s likelihood of occurring at any given time. I have suggested for people to consider a wise path of using the company (zero interest) private financing and ordering their machine NOW. 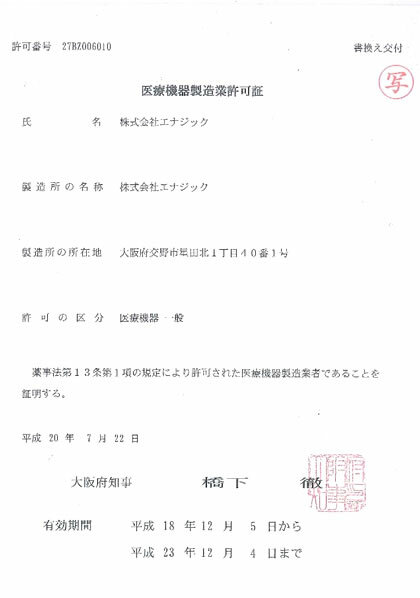 Pay it off after more funds become available. At least consider filling out the paperwork with our mutual signatures but hold off to place the paperwork until you tell me to release it. Get in the front of the line. I am reminded of Jesus telling the story of the Virgins who were waiting for their Bridegroom to come. Half of them had oil for their lamps in order to go to meet him when HE came. The other half didn’t prepare and had to go find oil when he came. When they returned it was too late. I share this because I care. So many people have been redeemed from all sorts of Illness’s over these past 9 years, because of this water. Why? Because it restores the HYDRATION of the Red Blood Cells (Life is in the Blood) which increases the delivery of Oxygen, Nutrition, Energy, and waste removal to every cell in the body. The hydrated BLOOD restores (homeostasis) the balance between the functions of the organs. Read the many posts here on the menu on the right. Your Brain on Water is perhaps the most compelling. Other individual postings on specific Health Challenges and video explanation’s of why Restructured/Restored water benefits your body and it’s energy. Please seriously consider your options now. To a Specific Group, your friend F26 expects almost immediate results from our wait. DON’T DELAY! Text me to call you, I will be as responsive as I can. Please don’t just call, Text first, I don’t answer numbers that I don’t know. Text me that you are KTFA and want a call. God Bless! Winter has arrived! some things to know to stay Hydrated. As the really cold weather arrives, so do many of the problems associated with Dehydration. Unfortunately, the cold tends to mask the problems we face. An Associate has written a Blog that I am going to post here for you to apply as needed in your own circumstance. Equatorial residents may not find this particularly useful, LOL. We don’t often associate cold-weather exercise with dehydration. The body doesn’t get as hot, and sweat evaporates more rapidly in the cold air. Thus, we’re tricked into thinking we aren’t losing fluids as rapidly because we don’t feel as thirsty. The Thirst Mechanism generally ceases to function in extreme Dehydation. More often it is interpreted as a Hunger issue! However, cold weather accelerates dehydration because mammals have a survival mechanism that constricts blood vessels in cold weather, to conserve heat and maintain body temperature. 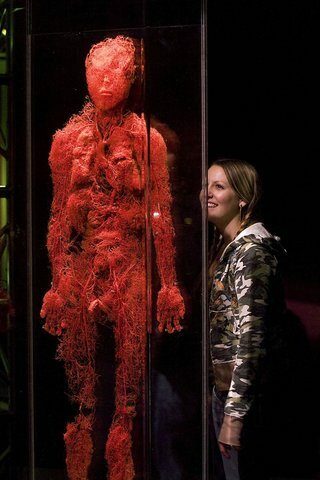 Blood vessels shrinking increases blood pressure. To lower the pressure, your kidneys make more urine, meaning less blood to fill veins and arteries, more frequent trips to the bathroom and greater risk of dehydration. Wearing extra clothing. Heavy jackets, long underwear and other pieces of warm clothing help your body conserve heat. The added weight from clothing also makes the body work harder. Increased respiratory fluid loss. In cold weather, we lose more fluids through respiratory water loss. For example, when you can see your own breath, that’s actually water vapor that your body is losing. The colder the temperature and the more intense the exercise, the more vapor you lose when you breathe. Sweat evaporates more quickly in cold air.We often think we aren’t sweating in cold, dry weather, because it tends to evaporate so quickly. This is another factor that can contribute to a diminished thirst response. We also tend to eat more carbs in the winter which increases our blood sugar. This makes us lose water faster while the body is working harder and uses more water to dilute the increased sugar intake. Winter or summer, dehydration can cause exhaustion, muscle fatigue, cramps, loss of coordination and even a stroke. When dehydrated, you can also become more susceptible to winter colds and flu because dehydration lowers the immune system. Dehydration is synonymous with Inflammation. As we know inflammation is the major symptom in all winter ailments. Not drinking enough water can also make it harder to keep extra pounds off during the shorter days when we tend to exercise less and eat more. When hydrated, your body is better able to break down fat for energy, your appetite is better controlled (it’s important to note that we often think we are hungry when we are really just thirsty). Also, if your body doesn’t get adequate water it holds the water it already has, so sufficient hydration is key to avoiding fluid retention. Drinking half of your body weight in oz is essential to replace the water lost during the day. Quality of water is just as important as the quantity. For proper hydration the body needs clean pure water without chemicals. Chemicals are found in most waters including tap and bottled water. Those chemicals contribute to the toxic pollution of the body and cause inflammation. The best water one can drink is Ionized Alkaline Water. This water has been properly treated to remove chemicals through filtration and ionization. The water is also restructured to enhance hydration, anti-oxidation and detoxification. It is superior water for superior health and performance. 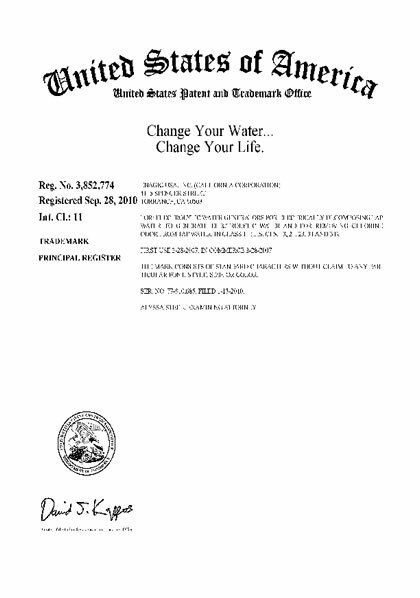 Change you water, CHANGE YOUR LIFE! “Excuse me!”, you say. “Isn’t all water just water? You know, like maybe some is cleaner or less pollution or Filtered, but isn’t it still JUST WATER? WOW! I think we need it’s time we educate the public that what we have been calling “Water” may not even qualify when compared to NATURES MODEL. Have you ever marveled at the Beauty of Snowflake’s? Each one so completely unique? BUT, did you know that each one is built from a “Standardized Structure”? The Building Block of a Snowflake is the Perfect form of Water Molecules of Nature, that are Pure, Energized and interconnected geometrically in a Hexagonal Ring. How’s that again? Well, the process of Moisture in the air is from evaporation from Oceans, Lakes, and wet lands. This Evaporation causes water molecules to gather in the colder air of the atmosphere forming vapor, then Clouds. Pure water in Clouds when circulating because of winds aloft, pass through the Magnetic Lines of the Earth, charging the molecules with Ionic Energy that is stored in them. Pure Water is a perfect insulator and builds up a CHARGE! This is the source of Lightning’s Electrical Discharge. When Storms cause clouds to circulate in extreme turbulence, they discharge Billions of Volts of Energy in Lightning bolts. The electrical difference of the Hydrogen and the Oxygen cause them to link together. One ear (Hydrogen) of a Water molecule connects with another Water molecules Oxygen, and its Hydrogen connects with another on, until the 60 degree offset causes six (6) water molecules to form a complete geometric 360 degree ring. Interesting to this Natural form of water is that the other Ear (Hydrogen) of each molecule is pointing directly out from the ring providing a connection point for bonding to other substances to form solutions. Water has always been called “The Worlds Strongest Solvent” by Scientists. HOW DOES THIS APPLY TO HUMAN USE? It turns out that within the Esophageal Channel and Stomach there are Portals or Passages that are sized to pass this size of a molecule to the Blood Stream. For those of you that have not seen our 1 minute video showing the effects of Restructured Water on the Red Blood Cells, I am placing the video here for you. So, you can see the almost immediate impact just 4 oz of this water has on the performance of the Blood. You can imagine how this impact would increase if she actually drank the prescribed 1/2 oz of water per pound weight daily! But I think that this simple representation shows the significance of Hydrating our Blood and thence our Cells. Does that get your attention? now you know why you bleed from even the slightest pin stick! So, If your Blood is so important to your Health, WHY AREN’T YOU DRINKING SUFFICIENT WATER EVERY DAY? Why are you poisoning yourself with Bottled Water and Soda’s? OH! you don’t think you are? Boy do you have a shock coming to you, when you finally open your opinion up and review facts. I know! That’s difficult because we really don’t like to change our daily habits and the things we like. Then I can’t help you and it would be best if you don’t watch a simple presentation that compares the energy or lack of energy in the drinks you commonly ingest. Or even the reality of paying dearly the price of popular drinks that are extreme ACID liquids. Yes, even those popular “Pure Water” bottles you carry around. Don’t believe me? then watch another video. Come back to this tab after viewing though, there might be more….. So, perhaps that got your attention. Do you still think that all water is just water? So even if you have been faithfully drinking water and eating as good a diet as possible, does it surprise you that you can’t lose weight easily or aren’t healthier? God designed the Body to heal BY THE PROPER FUNCTION OF THE BLOOD DELIVERY SYSTEM MAINTAINING EVERY CELL OF YOUR BODY! I would like to wish you and your family a Very Merry Christmas and a HEALTHY New Year and Life. Keith Flint GodsWaterBoy. IT’S HIS WATER, I’m just the water boy. Text me at 720-281-3965 with your name and “Please send text when you update your blog.” to be kept up to date. I’ll remove anyone who decides they don’t want texts. 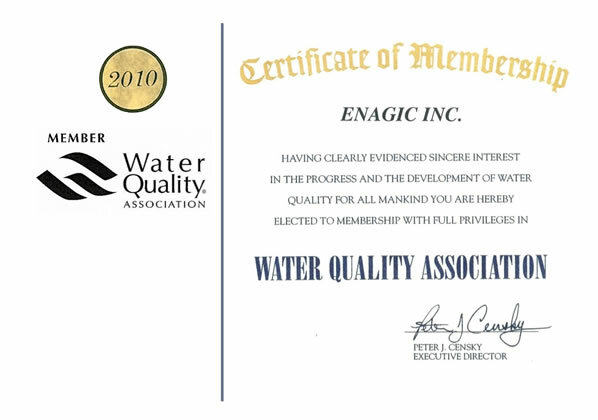 Proof of Certifications for Enagic Water Ionizer Products. 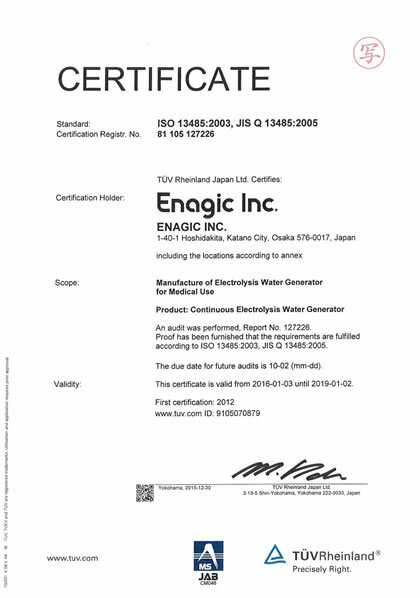 EnagicUSA LLC™ is the sales office of Enagic™ , Osaka Japan, a Direct Selling Manufacturer of Water Ionizers with the Following Certifications. Many “Internet websites” claim to be equal or better or less expensive, but if you review carefully, you will not find these qualifications for their products. 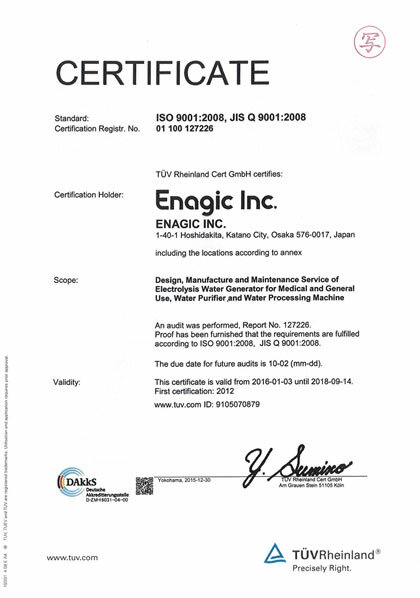 Below are the proof of statement about Enagic™ Certifications. 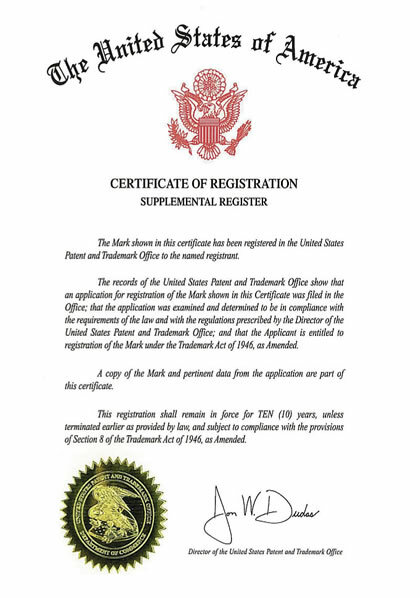 Issued by United States Patent and Trademark Office. 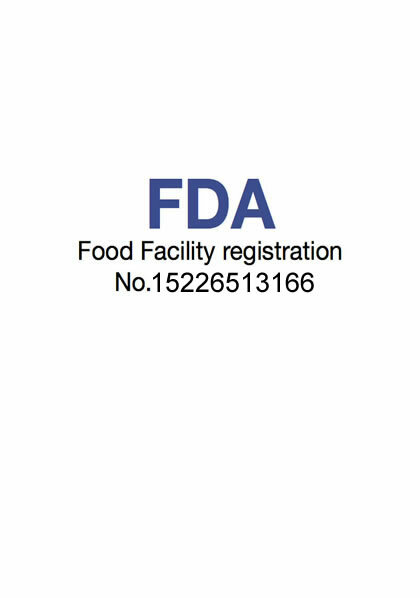 Certificate of FDA Food Facility. 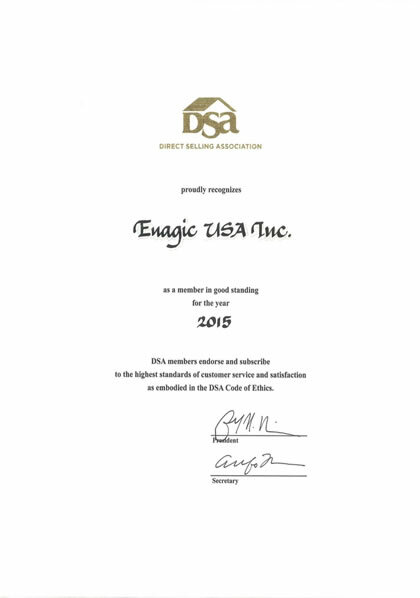 I hope this helps to recognize the quality and assurance that is built into every product. 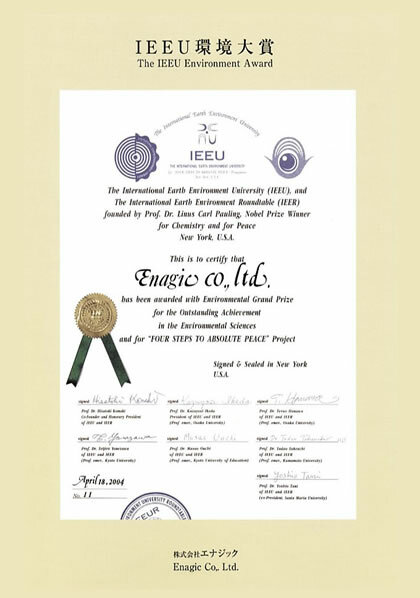 Enagic™ has the highest standards and 44 years of global production. Let me know if you would like to talk about your needs, your interest, or would like to try the water experience.